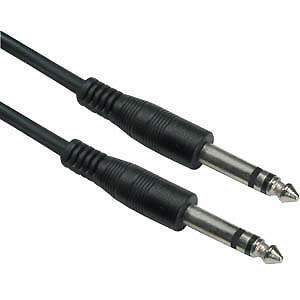 Heavy Duty Stereo Cable with TRS 1/4 Jacks. Very Popular with Musical Instruments and Devices. To interconnect pro audio gear with balanced phone jacks. A TRS balanced plug on both ends allow easy access to jacks with minimal clearance. Nickel-plated plugs for rugged durability and efficient signal transfer.